Public cloud services in West Palm Beach are popular for storage because they're usually low cost or even sometimes free, which helps cuts cost but at the cost of losing a degree of control. When you use a public cloud, you rely on a third party to house your data and keep it safe from cybercriminals. While several big companies have good reputations for safe cloud storage, you will still have more control and privacy if you build your own private cloud. A private cloud is the same thing as an intranet, which is a closed network only available to specific individuals. Usually, members or partners of an organization are the only ones allowed to access the network. The main advantage of a private cloud is that all your data will be on a dedicated server or perhaps a virtual server. A dedicated server means you don't share data with outside parties, as opposed to a shared server in which several different business accounts might exist on the same machine. A virtual server is different because it allows for multiple separate servers on one physical machine. Another advantage of a private cloud is that you won't get kicked offline due to network congestion, which can happen on a public cloud. By choosing a dedicated server set up by an IT support provider in West Palm Beach, you'll be able to structure your business however you want. You won't have to settle just for the services available through public clouds. Your application cloud hosting solution will give you complete control of integrating whatever new software you choose into your system. Unlike the type of IT resources that were common a decade ago, you will not be bound by one operating system or one way of backing up and storing data. 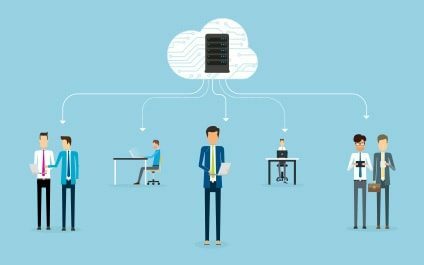 Making the transition to a private cloud should be done with the help of IT support specialists in West Palm Beach. To know more about the benefits of dedicated servers, contact us at Nexxen Technologies, Inc. and we'll be glad to answer your questions. We provide the IT services that can take your business to the next level.